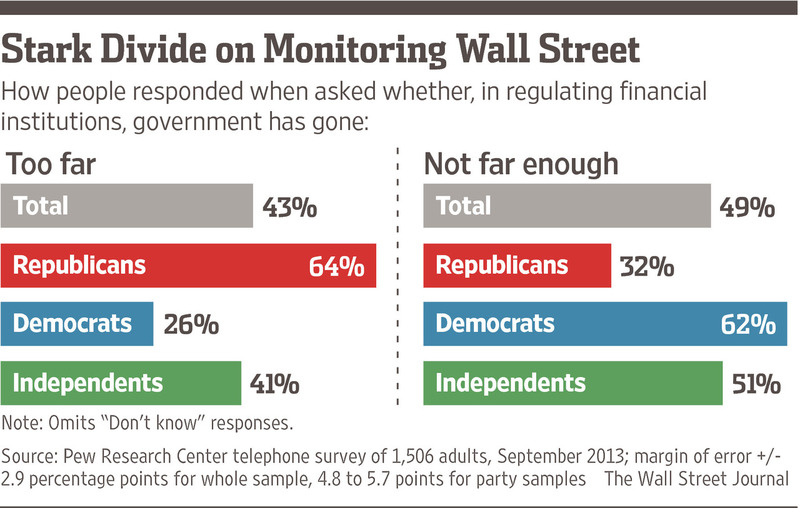 In the wake of the financial crisis, has regulation of the financial industry gone too far, or not far enough? Jeb Hensarling, chairman of the House Financial Services Committee, and Sheila Bair , former chairman of the Federal Deposit Insurance Corp. and now a board member at Banco Santander, sat down with The Wall Street Journal’s Dennis Berman to discuss how regulation has succeeded, how it has failed, and what happens next. Here are edited excerpts of their conversation. MR. BERMAN: What’s your comfort level for where capital requirements have gone for the banks? MS. BAIR: They need to be significantly higher. They need to be dramatically simplified, too. These risk weights are horrendously complex, they’re easy to game, they create all sorts of skewed incentives. One of the crazier things they do is they treat one bank lending to another as lower risk than a bank lending to IBM or to Coca-Cola or Google or whatever. That doesn’t pass the laugh test. It just encourages them to become more interconnected, which makes it harder for them to fail in an organized way. MR. BERMAN: So even after all of Dodd-Frank, we are still not in a good place. MS. BAIR: No, we’re incrementally better, but we’re not nearly as resilient as we need to be. MR. BERMAN: So Dodd-Frank has failed. MS. BAIR: I wouldn’t say Dodd-Frank has failed. Judged by complexity and quantity, we have too much regulation. Judged by effectiveness, we have too little. MR. BERMAN: Chairman Hensarling, first on capital requirements and second on your view of Dodd-Frank. REP. HENSARLING: Well, I certainly agree with Sheila. I’m very skeptical of the risk weightings. They haven’t served us well in the past. I will certainly again concur with Sheila that the complexity I don’t think serves us well. And I am concerned of one worldview or one national view of risk management. I think it is going to be better handled by market mechanisms. With respect to Dodd-Frank, the large banks have become larger, the small banks have become fewer, the taxpayers have become poorer. It is more difficult now for working families to purchase a home, even though a local community bank may actually want to lend them money. As we implement standards on credit cards, we are finding the dreaded annual fees come back. Many of the perks are leaving. Free checking is becoming a thing of the past. 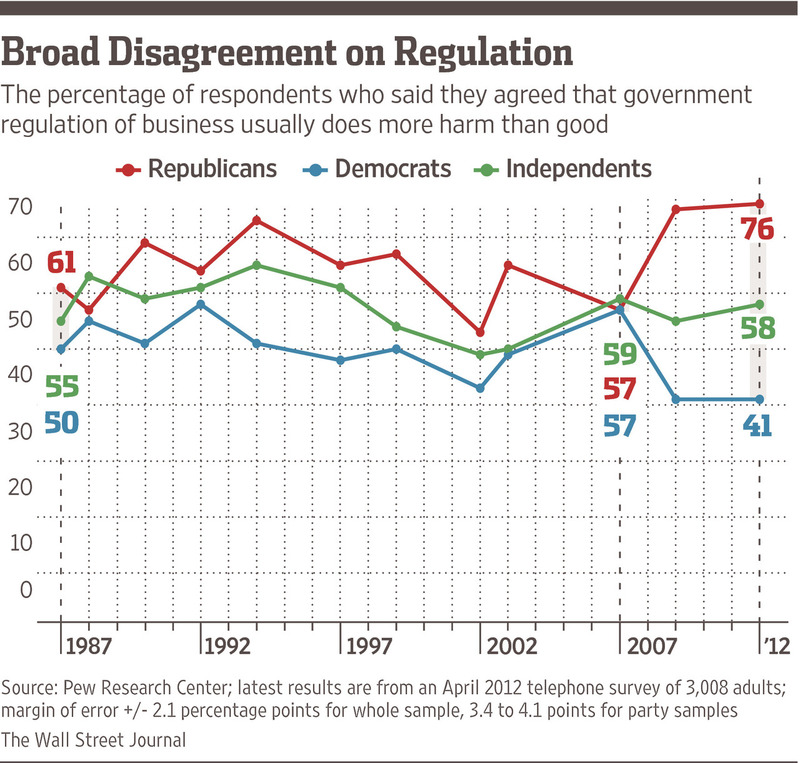 And at some point the sheer weight, volume, complexity, uncertainty of the regulatory burden slows economic growth. MR. BERMAN: Would you agree that we’ve turned the banking sector into a regulated utility? REP. HENSARLING: We’re probably on the way to doing that. I wouldn’t say we’re there today. MS. BAIR: No. There’s still a lot of risk being taken. I do think, though, that the regulators are trying too much through the supervisory process and through highly complex prescriptive rules to run the banks for them. We need much higher capital levels. And we need a credible resolution mechanism to make sure the market takes the losses and the market understands that in advance. Those are the two places where I would focus. The market can discipline these institutions. The regulatory process cannot. MR. BERMAN: Compared with 2007, is the financial sector in the U.S. healthier now? Is it more stable and a greater contributor to growth? 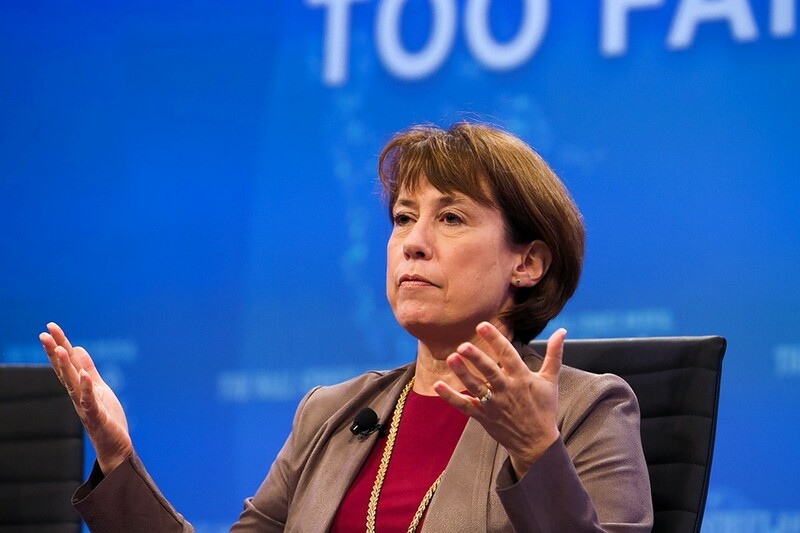 MS. BAIR: Liquidity and capital are better. Not as good as they should be, but better. It’s more resilient in that sense. But monetary policy played a role in the search for yield and why investors were buying a lot of these bad mortgage-backed securities. And we’ve had the same dynamic for five years now with the near-zero interest-rate policies. And the hunt for yield is still very much alive, it’s in different places now. So the system is more stable but the risks are potentially greater. Because we don’t know how this is going to all turn out. Financial assets are inflated. [Banks are] desperate to make loans. We’re seeing the government leading the way to loosened mortgage-lending standards. Commercial real estate, you’re seeing a lot of the same kind of behaviors over again. And the regulators are trying to constrain it. But how much can they do that? I mean, monetary policy gets everywhere. 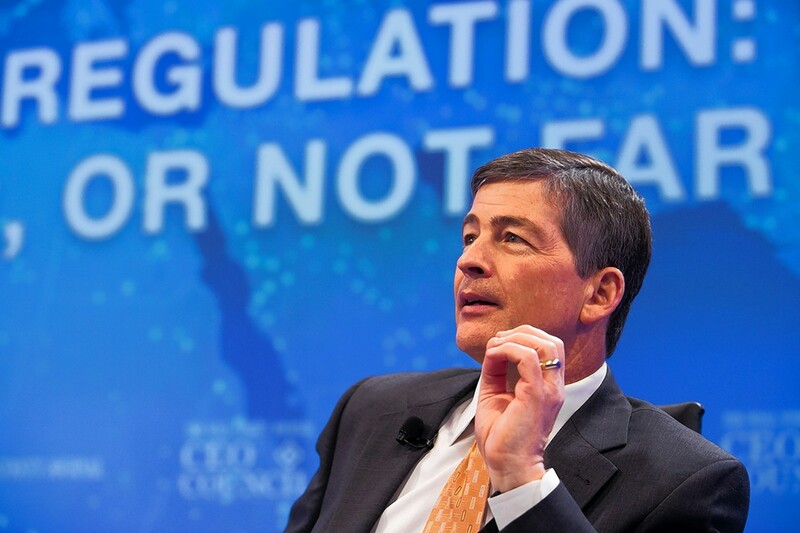 MR. BERMAN: Chairman Hensarling, compared with 2007, is the financial system now healthier? REP. HENSARLING: I think you can make the case on perhaps some criteria that it’s more stable. But again, at what price stability? How much economic growth are you willing to pay for this so-called stability? And I’m not convinced that we’re not seeing the calm before the storm. I don’t want to say that all of Dodd-Frank is bad. But all in all, I consider Dodd-Frank to be a failure. And I am fearful that we are replanting the same seeds that led us to the crisis in the first place. Posted on December 9, 2014, in Postings. Bookmark the permalink. Leave a comment.